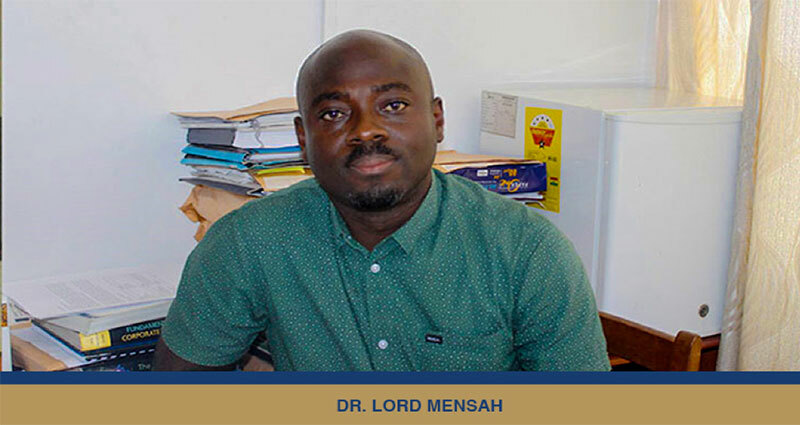 Dr. Lord Mensah, a Senior lecturer at the Department of Finance, University of Ghana Business School, in an interview has expressed his opinions on the current state of Ghana’s banking sector. Dr. Lord Mensah stated that, although the reforms being carried out by the Bank of Ghana were necessary, the approach employed did not resonate well with depositors, thus, creating panic and distrust. As such, it is essential that the Bank of Ghana (BoG) takes solid steps to win back the lost faith. In answering to how Ghana ended up in the banking crisis, he explained that it was as a result of the regulator’s (Bank of Ghana) quest to increase the minimum capital requirement, which he said was needed, since financial risk kept growing in the banking system. “The banks could not have fulfilled the minimum capital requirement mandate, leading to the takeovers and mergers by BoG”, he remarked. He also blamed the crisis on Bank of Ghana’s hesitation to run proper routine checks on the banks and their failure to bridge the communication gap between the banks and their customers. These omissions gave way to various malpractices by boards of those banks. “Board formations, for instance, were very questionable since expertise was not really considered a criterion by most of the affected banks”, he noted. Dr. Mensah advocates for clear and concise communication between the Bank of Ghana and depositors through expert reviews on banks by third party financial agencies, to enable them make informed decisions with their money. He further elaborated that, “If BoG at the close of every year, presents credit ratings on the various banks to ascertain the number of banks that are in good standing in order of merit, people would be more aware of the happenings within the banking sector. Consequently, there will be no surprises as compared to how shaken people are now by the current turn of events”. Dr. Lord Mensah concluded that the banking sector needs to regain its glory, and the Bank of Ghana must facilitate this. He added that the Creative Arts Industry could be instrumental in accomplishing this task. Music, movies, dramas, broadcast and print commercials can be tailored to reassure Ghanaians that their monies will be safe at the banks. Such a social approach will be very influential in restoring the apparent lost trust.